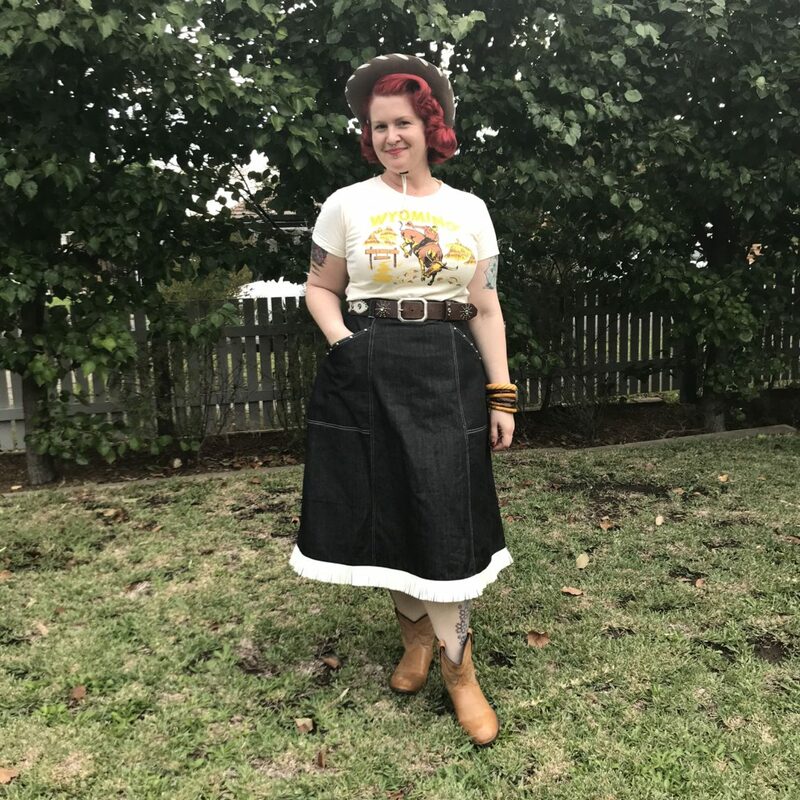 Viva Las Vegas 2019 is not far off, which means I’m madly running around sewing outfits to bring. 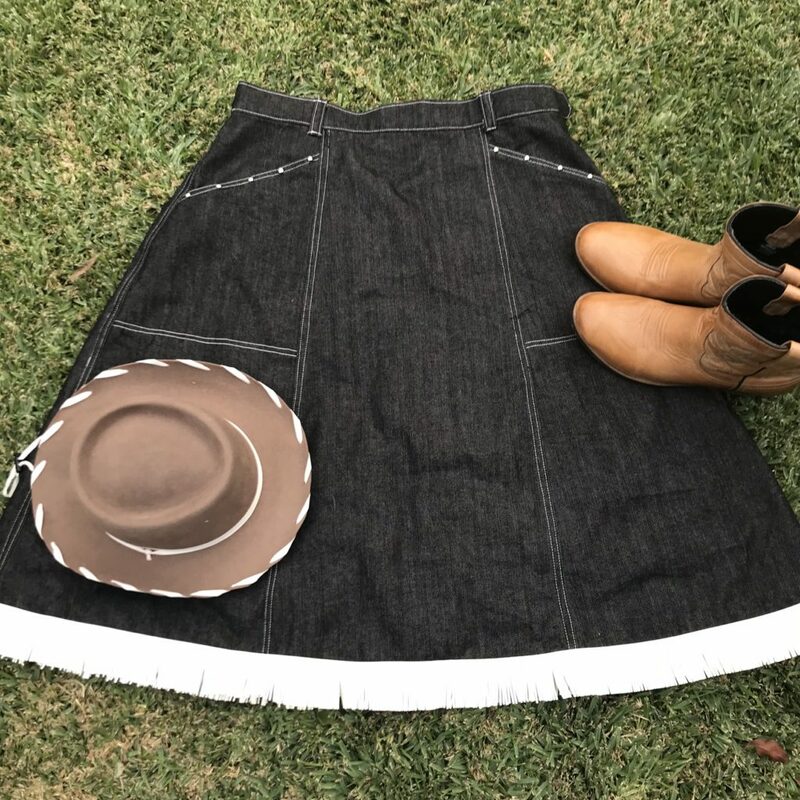 Every year I try and make something off my sewing ‘bucket list’, so this year I tried my hand at a 1950’s denim western skirt – just like this one from FabGabs on Etsy. 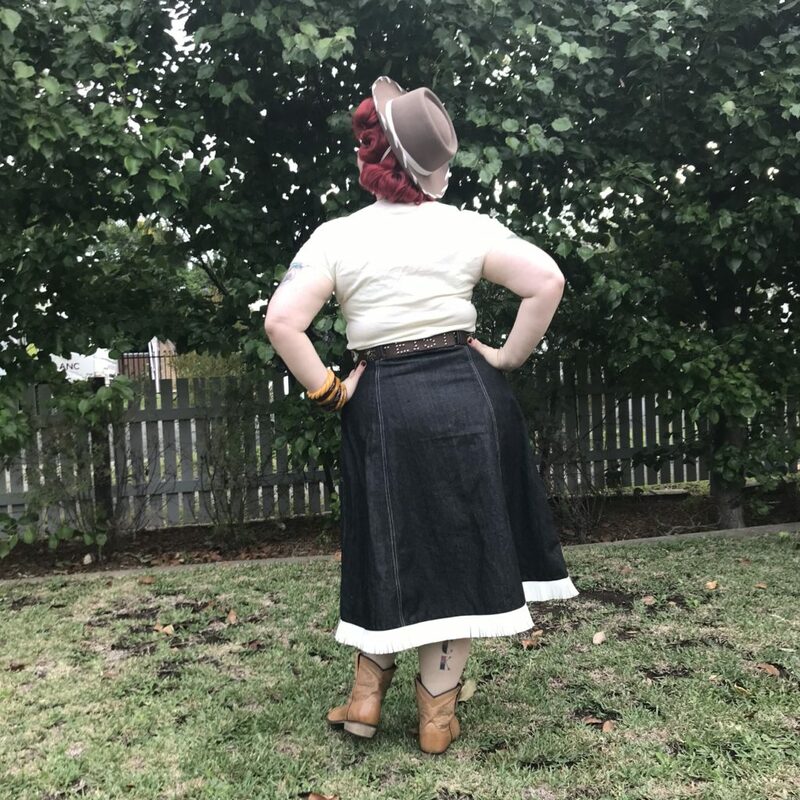 My version was based off Vogue 7848, a very boring princess seamed dress but the skirt portion had the seam lines I needed to replicate the design. 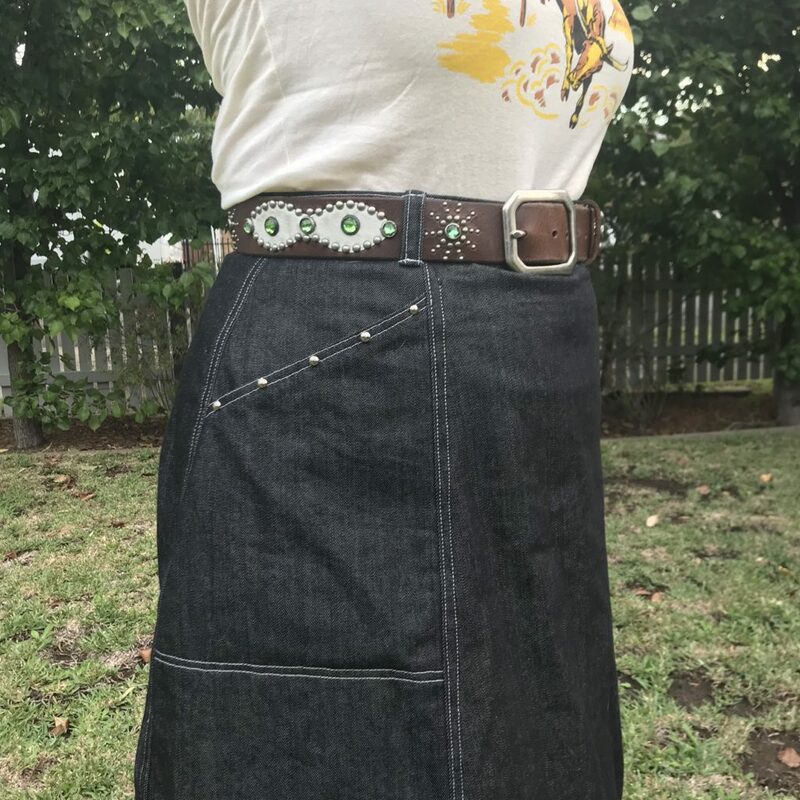 I used some circular 4-prong studs as decoration across the pocket tops to replicate the studs on the original version. The seams are all topstitched with white thread as well. 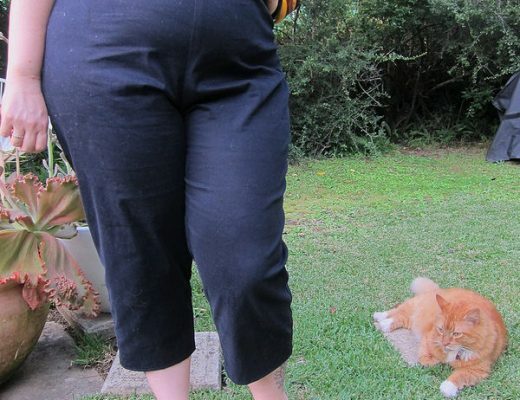 The denim was basic non-stretch denim from Lincraft, and I added a metal zipper on the side seam. The fringe was faux-suede trip that I bought on Etsy. 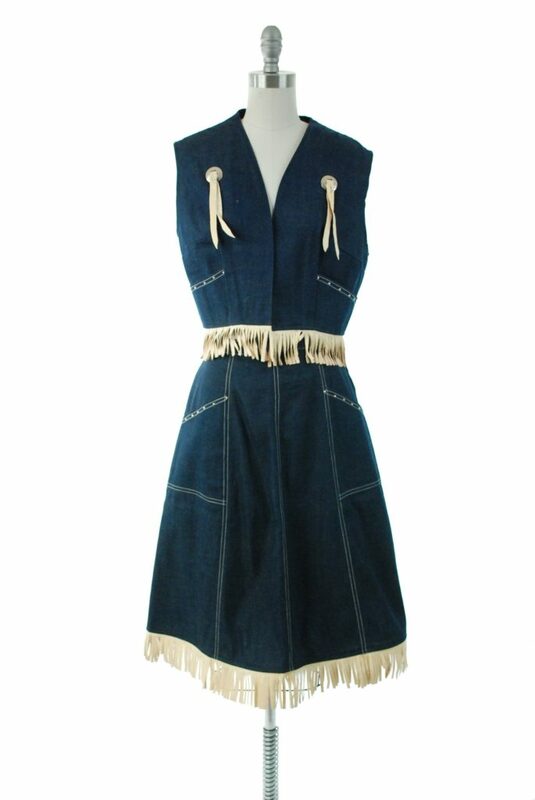 Overall, I’m really happy with how it came out – I just wish I had extra denim to make a matching vest. 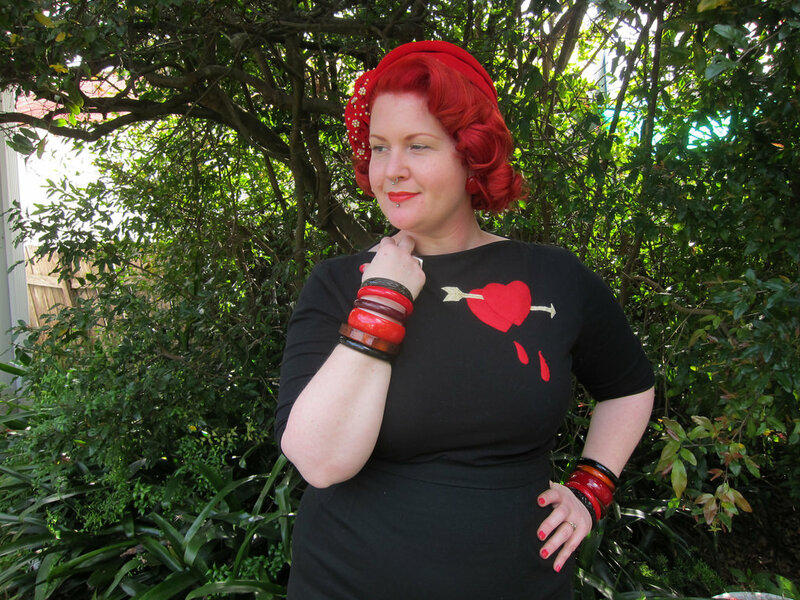 Well, hopefully I get to see some of you at Viva shortly – please do come say hi if you see me out and about!